Prelude is a national network of residencies for Australian composers, housed in historic buildings and providing time and space to create new work. It is a collaboration between the Peggy Glanville-Hicks Composers Trust, National Trust of Western Australia, National Trust of South Australia, National Trusts of Australia, APRA AMCOS, Arts South Australia, Helpmann Academy and Bundanon Trust.Prelude is assisted by the Australian government through the Australia Council for the Arts. 6-8 July: Performance in the Gender Diversity in Music Making Conference, Monash University, Melbourne, Australia. The sparkling sound world of glockenspiel and vibraphone and the deep resonance of gongs are extended by electronic processing, samples and sub woofers in a collection of works by Andrián Pertout, Stuart James, Cat Hope and Kate Moore. This collection of sparkling and resonant Australian works for metallic percussion is complemented by interactive visual projection mapping on the instruments by New York based artist Ross Karre. Louise Devenish’s music for percussion and electronics national tour is presented by Tura as part of the Tura National Program. Jon Rose takes up residence with Gabriella Smart in Beaumont House, the two of them colluding to bring you a special in-house improvisatory performance on Sunday May 13 at 5pm. Enjoy a glass of wine at sunset at one of Australia’s most sublime locations. Find out more about Jon. Picnic at Broken Hill by Jon Rose – Video Installation in Studio 2 from 7pm. Two New Proposals… in Studio 1 at 8pm. reflecting our universal obsession with trivia. Rose’s work Picnic at Broken Hill was inspired by a true story that took place in Broken Hill with two Afghan ex-cameleers. On New Year’s Day in 1915, a picnic train carrying 1200 miners and their families was attacked by the two Afghans in protest against the invasion by the western allies of Turkey. Knowing they would die as a result, they both wrote suicide letters in Urdu. Picnic at Broken Hill is a musical transcription for solo piano of these suicide letters. Enjoy live music, food, entertainment and wine on the shady lawns of Beaumont House, treat yourself to a Devonshire tea on the veranda and browse our exclusive market and vintage stalls. Cost: $10 at the gate (National Trust Members $8, children under 12 free). Frank Yamma, one of Australia’s most significant Indigenous songwriters. Frank has the gift to cross cultural and musical boundaries – a love song sung in Pitjantjatjara will make your heart sing in whatever language you speak. Young composer and sound artist Jesse Budel explores the resonance of a ruined colonial piano through transducer, improvisation and new settings of old bush ballads. 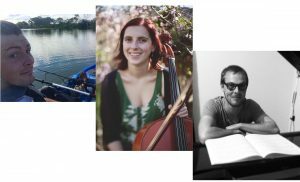 Soundstream’s 2018 Blue Touch series launches in the beautiful ballroom of Beaumont House, with pianists Gabriella Smart and Dan Thorpe, and cellist Rachel Bruerville workshopping new pieces by composers Rachel Bruerville, Jesse Budel and Dylan Crismani. Written for piano four-hands and electronics, Long Island is named after the eponymous island on the Murray River at Murray Bridge, and provides a visceral journey of the area’s terrestrial and aquatic soundscape, investigating the impact of motorboat noise on aquatic environments. You can hear a shorter electronic version of the work, premiered at Michigan Tech University in December 2017, here < https://soundcloud.com/jesse-budel/long-island>. Jesse is currently in his final year of PhD research at Elder Conservatorium, and was awarded an 2017 Carclew Fellowship to undertake a professional development of the US and Canada. Adelaide-based Rachel Bruerville is a composer, arranger, cellist, singer, and writer, whose main performing activity is singing alto with the Adelaide Chamber Singers, as well as playing cello with her band, Minority Tradition. She finished her B.Mus in 2015, and all things going to plan, she will complete her Honours year in composition at the Elder Conservatorium in July this year. 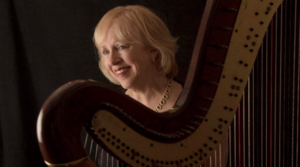 The first version of her work Under the Fig Tree was originally written for solo classical guitar in 2014, and now in 2018, the piece will be reimagined for cello and piano. The title was inspired by Rachel’s grandma’s musical synesthesia, where B major is reddish-brown (figs), and E major is green (leaves). Oh, the serenity! The un-tempered pianos is an extended minimalist work for two pianos and one pianist in just intonation. The piece explores a tuning in just intonation based on the prime numbers 3, 5, and 7. It also explores the concept of critical bands through the syntonic comma – 81:80. The composer of the piece is Dylan Crismani who is a PhD candidate at the University of Adelaide, his PhD focuses on a theory of music based in geometry and symmetrical patterns of shapes and numbers. MOSIS is the acronym for Modes of Synthesised Inversional Symmetry, and MOSIS are part of Dylan Crismani’s contribution to knowledge as a PhD candidate. The concept can be compared to transposition in musical terminology, where 1 set of pitches is the inverse of another set of pitches. This kind of transposition and inversion is possible in regular tempered piano tuning, but it limited to 12 notes only, or two sets of 6 and lower. The un-tempered pianos explores this idea in a 24/48-pitch micro-tonal system. Another way to think of this concept is in terms of geometry, where the charateristics of a certain shape – i.e. the length of sides, and degree of angles, can be replicated, or translated from one place to another, in a number of dimensions, including the theoretical fourth dimension. The un-tempered pianos explores a number of these geometrically conceived modes throughout all nine movements of the un-tempered pianos. Harmonic clouds, and static dyadic harmony are ideas borrowed from avant-garde American minimalist La Monte Young. Harmonic clouds are cluster chords played with a rapid, and indeterminate tremolo. Dyadic harmony is harmony based on two pitches only, this is also a borrowed concept from La Monte Young’s well-tuned piano. Critical bands can be likened to the visual arts where an artist can access unlimited shades of the primary and secondary colours, the only limit being that of human perception. The same is true in music, where musicians can explore unlimited shades of the main 12 musical pitches, this is a widely accepted idea in Indian classical music. The un-tempered pianos explores different shades of the same pitches through two pianos, and through the syntonic comma, which creates the kind of beautiful dissonance reminiscent of the inharmonicity of Javanese Gamelan instruments. Polyrhythm is the juxtaposition of one rhythmic pattern against another. This idea is explored in the final movements of the un-tempered pianos. This is implemented through various finger patterns which create accents at different times, creating a back and forth echo between the two pianos. People process is used in this piece. The meaning behind this is that the performer is instructed to move through the composition at their own pace. Repetition process is the process where movement in the music is created solely through extended repetitions. Mathematical process is also used in this piece whereby short repeated patterns evolve into longer patterns through the process of addition. The aim behind the entire piece is to explore a new world of sounds not through the traditional mechanisms of melody and motif, but through relatively modern approaches to composition, a new approach to piano tuning. The use of Beaumont House is generously provided by the National Trust of South Australia as part of Gabriella’s Prelude Composer Residency. Prelude is a national network of residencies for Australian composers, housed in historic buildings and providing time and space to create new work. 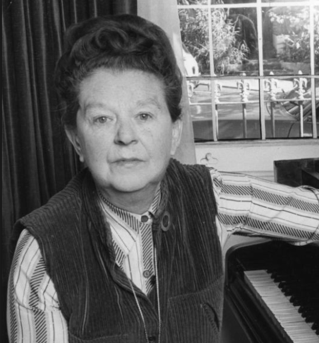 It is a collaboration between the Peggy Glanville-Hicks Composers Trust , National Trust of Western Australia , National Trust of South Australia , , APRA AMCOS , Arts South Australia , The Helpmann Academy and Bundanon Trust. As part of Soundstream’s ongoing Blue Touch series, Composer and sound artist Jesse Budel, shares his insights from recent travels to the US and Canada, responding to diverse places including old growth forests, tundra, glaciers, and deserts. This tour, American Ascent, was supported by a Helpmann Academy Grant and the SA Government through a Carclew Fellowship. Forging a new language and identity for the harp with extended techniques and electronic enhancements. Join Johannes S. Sistermanns (Germany): performance artist, Mauricio Kagel protégé, Derek Pascoe: cool saxophonist, Gabriella Smart: colonial piano, in a performance that embraces acoustic instruments, improvisation, and a transducer that transmits sounds onto every vibrating surface. Musician, producer, advocate, philanthropist and corporate leader Dr Kim Williams AM is a champion for new voices in the cultural landscape. In this address that honours Australia’s great composer Peggy Glanville-Hicks, Kim talks about the opportunities for business and the arts, and the landscape ahead for contemporary art music. Venue: Ira Raymond Exhibition Room, Barr Smith Library, University of Adelaide.